Andrew Leibie (Pill testing sounds like a great idea, but there’s a catch, Sydney Morning Herald, 20/1) argues that pill testing is flawed. The technology is not accurate or reliable. It can’t detect all ingredients in pills, including some of the new drugs that are active in micro-doses. It can’t provide data on dose or concentration. He also argues that the evidence from countries where pill testing is conducted shows that it doesn’t work. He concludes that “the reality is that pill testing kits will never be able to detect all the illicit drugs entering the community”. Many of the statements Leibie makes are factually correct. The problem is that he makes a number of assumptions about what pill testing is and how to evaluate it. First, let’s start with a summary of what we are talking about. ‘Pill testing’ (or drug testing) is a service that invites ordinary citizens to anonymously submit samples of illegal drugs for forensic analysis, and provides individualised feedback of results and counselling as appropriate. This kind of testing service has been operating in some form for 50 years across multiple countries around the world, with the longest running services operating in Austria, the Netherlands, Switzerland and Spain. Leibie assumes that ‘pill testing’ involves colour reagent test kits. But pill or drug testing services acknowledge that testing kits as a main testing tool are poor technology. They only use test kits as their main tool when they don’t have access to better technology, due to lack of funding or government resistance to their operation. Fully funded pill testing services use proper laboratory equipment. Mobile laboratories in Switzerland and Austria can determine contents and purity comprehensively in less than 30 minutes, with a minority of samples that require additional analysis sent to the main laboratory. In the UK, infrared spectrometers are used in the field, [edit: alongside other techniques, thanks Fiona Measham!] providing indicative results in less than one minute. 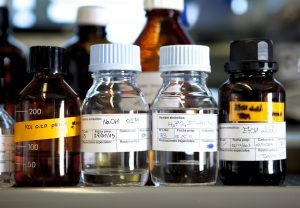 Reagent test kits may be used to determine which next test to conduct. A suite of tools is needed depending on the drug, its form and whether there is evidence of multiple drugs. Although testing services acknowledge the limitations of using test kits as the only analysis method, there is still important information that can be gleaned for consumers under specific conditions. For example, in the case of a pill sold as ecstasy or MDMA, the use of a Marquis kit can definitely tell you whether or not an MDMA-like substance is present can definitely tell you when there is no MDMA-like substance present and can be used to rule out MDMA as a possible component [edit: thank you to Earth Erowid]. For the consumer who is not interested in consuming anything but an MDMA-like substance, a negative result on the Marquis will prevent the use of the unknown substance. In many surveys of people who use drugs, including a recent survey that I led of 800 Australian festivalgoers (paper under review), the vast majority say they would discard a drug in this scenario. This decision could save their life if the drug they were about to consume was high dose NBOMe or PMA. Yes, I agree with Leibie that there are scenarios where the use of test kits alone is problematic. One such scenario is where Ecstasy/MDMA is combined with another potent drug, like an NBOMe, as mentioned by Leibie. In this instance test kits would indicate an MDMA-like substance, leaving the consumer in the dark about the NBOMe. Another scenario is a pure MDMA pill that is high dose, with reagent kits unable to provide purity or dose information. These flaws underscore the importance of governments supporting the use of more sophisticated laboratory equipment in the field. They are not an argument against pill testing altogether. Leibie also implies that testing has to be fast in order to be acceptable to the target group. We asked festivalgoers in our survey how long they would be willing to wait. Most were willing to wait half an hour, and many were willing to wait days or even weeks to find out what is in their drugs. A testing service does not just have to be stationed at a festival. It can also be available through fixed site booths, as it is conducted in the Netherlands, where people can have drugs tested in the late afternoon in preparation for their activities that evening or the next weekend. It is absolutely true that reagent tests are not comprehensive. And this is why we need to fund access to laboratory-grade equipment to find out quickly what is contained within particularly lethal batches. A rapid turn-around of information from a credible source can make a difference. For example, in the Netherlands, a pill was identified through their testing service with high dose PMMA in late 2014, just prior to New Year’s Eve. Dutch services distributed warnings widely and no deaths were reported. Unfortunately the UK did not have a similar warning system and recorded 4 deaths due to consumption of this same pill. Which leads me to the most inaccurate part of Leibie’s piece. His depiction of the UK is nonsense. Firstly, the UK did not have a pill testing service in 2015. Secondly, even now, the UK has one service, The Loop, which conducts testing at a handful of events. It is nonsense to try and evaluate the effectiveness of The Loop by pointing to one statistic about the number of NPS related deaths across the whole country a full year before any testing had been conducted in that country. The technology is available for an Australian testing service to test samples and disseminate accurate information that could help people avoid harms and help health workers treat people more effectively. There should not be a need in this country to use old technology to provide a substandard service, unless governments continue to ignore the needs of people who use drugs in our community. Until that point, test kits and online reports will be the best information people have, with all their flaws.